All Valve Industries successfully transitions to the 2015 Standard. 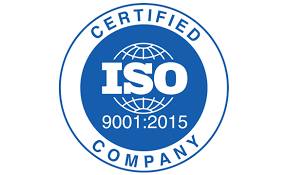 In conjunction with an independent consultant and a 6 month implementation project, All Valve Industries has successfully updated their Quality Management System to comply with all the clauses of the latest 2015 Standard of ISO9001. Implementing an effective and robust ISO 9001 Quality Management System (QMS) has assisted All Valve Industries by improving efficiency and quality, with management processes that are established throughout the business to provide a sound foundation, leading to increased productivity and profit. In July 2018, DNV GL performed their recertification audit, along with the transition audit to ensure all parts of the Standard complied. We are pleased to announce there were no non-conformances and we passed with flying colours. Some of the key changes to note has been an increased focus on Top Management leadership, along with a much more risk & opportunity based approach to the management system. In response, our top management undertook two 2 hour intensive courses which focused on leadership and quality awareness. As a result, we have also implemented the Kaizen philosophy within the company which encourages continuous improvements at all levels of the company and that every employee should work together to proactively achieve improvements in the processes of the company.